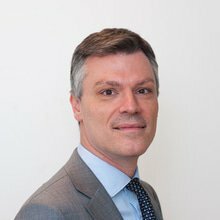 Despite being a relatively small market, quite a few pan-European disputes are litigated in Belgium. This is certainly true for the pharmaceutical and related sectors, which have a strong presence in Belgium and which still continue to grow. As such, biotech companies are thriving. As a consequence of this presence and growth, the volume of patent litigation before the Belgian courts has steadily increased in recent years. Another reason for this increase of litigation may be related to the fact that since 2015 all patent litigation in Belgium is exclusively handled by the Brussels courts, which facilitates litigation and should enhance the quality and predictability of the decisions. A still hotly debated topic in Belgian proceedings remains the assessment of the prima facie validity of patents in preliminary injunction proceedings. Although the Supreme Court has ensured that Belgian preliminary injunction judges have to make an effective assessment of the validity of a patent invoked in the framework of descriptive seizure or preliminary injunction proceedings, the scope of this assessment remains unclear. Finally, the past year has seen an increase in ex parte proceedings by patent owners to obtain an injunction quickly. It remains unclear whether this trend will continue as courts seem more and more reluctant to grant such ex parte measures. The national route: the first one consists in filling the patent application with the Belgian Office for Intellectual Property. These Belgian patents are solely governed by Belgian law. The European route: the second one consist in filing the patent application with the European Patent Office (EPO). After publication of the grant of the patent and validation of that patent in Belgium, this European patent confers on the patent owner the same rights as would be conferred by a Belgian patent. The validity of these patents is governed by the European Patent Convention (EPC) whereas the scope of protection and other aspects not regulated by the EPC are governed by Belgian law. The international route: Belgium is a member of the Patent Cooperation Treaty (PCT) and it is, therefore, possible to use the PCT procedure, which allows to file one patent application for the various members of the PCT instead of filing individual patent applications with the different members. This route will eventually result in a European patent valid for Belgium. The Belgian Code of Economic Law (CEL), in particular Title 1 (Patents), Title 9 (Civil Aspects of Intellectual Property Rights) and Title 10 (Legal aspects of Intellectual property rights) of Book XI, contain the substantive rules on patent law. Moreover, this Code of Economic Law is complemented by different acts and implementing royal degrees. There are also several EU regulations2 that have a direct effect in Belgium and complement the Belgian patent legislation. National patents are granted following a patent application procedure before the Belgian Office for Intellectual Property. The only person entitled to apply for a patent is the inventor himself or his successor in title. As discussed below, several requirements must be met to obtain a valid patent. It should be noted that these requirements are not examined during the Belgian patent application procedure, although a novelty search is done by the EPO. The results hereof are, however, not binding: even if it is clear that the invention is not novel, the patent will be granted. The patent grant explicitly mentions in this regard that the patent is granted without any guarantee. As a result of this simple application procedure without substantive examination, the prosecution costs of a Belgian patent are rather limited. Another consequence of this lack of substantive examination is that Belgian patents are considered 'weak' patents and in possible subsequent enforcement proceedings the validity of the patent will be more thoroughly examined. A European patent will be granted following a patent application procedure before the EPO. Contrary to Belgian patent applications, the validity of European patent applications is examined during the patent application procedure. On the one hand, this results in more significant prosecution costs for European patents, on the other hand European patents are considered to be 'strong' patents as they have been examined. Patent applications that do not meet the requirements for patentability, will be refused. A European patent application procedure will result in a 'bundle' of patents in the jurisdictions for which a grant was requested, which may include Belgium. In this regard it should be noted that Belgium has implemented the Agreement on the application of Article 65 EPC (the London Agreement) and that it is, therefore, as from 1 January 2017 no longer necessary to provide for a translation of European patents granted in English. For patents granted in French or German no translation was necessary as these languages are official languages of Belgium. Most of the patents enforced in Belgium are actually Belgian parts of European patents that have been issued by the EPO. Patent protection can be obtained when the invention meets the requirements as set out in the CEL and the EPC. The Belgian legislator has ensured that the conditions of the CEL reflect those of the EPC. In order to be patentable, invention must be new,3 must involve an inventive step4 and must be capable of industrial application.5 In addition, the invention has to be sufficiently disclosed in the patent and needs to be described clearly therein. European and Belgian legislation, moreover, on the one hand, enumerates some subjects and activities that cannot be considered 'inventions' (and therefore are not patentable) and, on the other hand, explicitly exclude some inventions from patentability. • products consisting of or containing biological material or a process by means of which biological material is produced, processed or used. methods for treatment of the human or animal body by surgery or therapy and diagnostic methods practised on the human or animal body. This exclusion does not apply to products, in particular substances or compositions, for use in any of these methods. Finally, it should be noted that the wording of the patent claims determines the scope of protection of a patent. Such patent claims must be interpreted in light of the descriptions and the drawings accompanying the patent, as is confirmed in Article 69 EPC and the Protocol on the Interpretation of Article 69 EPC. Belgian case law takes into account the prosecution file to interpret the scope of protection of patents. The Belgian and European legislator have provided for a strong legal framework to enforce patents at the external borders of the European Union and within Belgium. To prevent infringing goods from entering the European Union, Regulation 608/2013 of 12 June 2013 concerning customs enforcement of intellectual property rights has established specific procedures relating to the interception and the destruction of counterfeit goods at the borders of the European Union. Belgian customs are very active and are successful in stopping large shipments of counterfeited goods. Within Belgium, criminal proceedings as well as civil proceedings are available to the patentee. Under certain conditions patent infringement is indeed considered a criminal offence (i.e., if an infringement is committed with malicious or fraudulent intent). Such criminal proceedings may be considered in case of effective counterfeiting (e.g., counterfeiting of medicinal products) or if the source of infringement is unknown. Within the context of criminal proceedings the patentee can obtain compensation to repair the damages caused by the infringement. In most cases civil proceedings will be initiated to enforce a patent in Belgium. The Belgian legislator has recently updated all IP-related legislation to have an effective legal and procedural framework in place. Apart from 'normal' proceedings on the merits, the patentee can initiate the following preliminary injunction proceedings or accelerated proceedings on the merits, as explained below. there is urgency, that is, immediate measures must be taken to avoid irreparable harm to the patentee. In the context of these proceedings (which follow the procedural rules of preliminary injunction proceedings) patentees can obtain an injunction order on the merits, ordering the infringer from ceasing all infringing acts. Within a few weeks to a few months, it is possible to obtain a final cease and desist order from a court, including the recall and destruction of all infringing goods. No damages can, however, be granted in the context of these accelerated proceedings on the merits. Finally, in case of 'absolute' necessity patentees can also initiate ex parte proceedings in order to obtain an injunction or any other measure. Such ex parte proceedings have been more used this year, but it is not clear whether this trend will continue. As discussed below, in the several enforcement proceedings an invalidity defence (possibly on a prima facie basis) is available to the alleged infringer. Contrary to the German bifurcated system, in which infringement and validity are dealt with by different courts, the same court will decide on validity and infringement. If the defendant has its place of business in Belgium, or if the actual patent infringement takes place Belgium, Belgian courts can assume international jurisdiction to hear the case. Within Belgium, the Brussels courts of commerce have exclusive jurisdiction in first instance to hear all patent infringement and invalidity cases as from 1 January 2015.9 At the appellate level, the Brussels Court of Appeal has exclusive jurisdiction. The legislator has centralised patent litigation with one court to increase the quality of the decisions. The language used during the proceedings can be either French or Dutch and is chosen by the claimant when the defendant has its registered office or domicile in the Brussels-capital Region or outside of Belgium. When the defendant has its registered office or domicile in Wallonia of Flanders, the language of proceeding is determined by this location (Dutch for defendants based in Flanders, French for defendants based in Wallonia). As a general rule under Belgian procedural law, the claimant should establish the facts he or she invokes (actori incumbit probatio). As such, there is thus no discovery in Belgium and documents cannot be subpoenaed at will or on the request of other parties. In some circumstances, however, the court may order the production of specific exhibits. The court may indeed order a party to produce the elements of evidence that it possesses (Article 871 Judicial Code). It may specifically order a party – or even a third party – to produce an exhibit (e.g., a document, DVD or CD) that contains the proof of a relevant fact if there are serious, precise and concurring presumptions that the party concerned is in possession of this document. These specific conditions are included to avoid 'fishing expeditions'. In the context of an alleged patent infringement some kind of discovery is, however, available. Under Belgian law a patentee can indeed initiate ex parte proceedings to have an independent expert appointed who will have the authority to search the premises and obtain all information necessary to establish a patent infringement. This court-appointed expert then must file a report containing the information gathered, which may be used to assess the alleged infringement as well as the scope thereof. This counterfeit seizure procedure is quite popular and has given rise to important case law. Within the context of these proceedings, the patentee cannot only obtain description measures (the appointment of an expert who will draft a report relating to the alleged patent infringement), but also actual seizure measures (the seizure of infringing goods found during the proceedings). To obtain a description measure, the patentee should establish that (1) a prima facie valid patent right is invoked and (2) there are some 'indications' of an (imminent) patent infringement. If the conditions are met, an expert will be appointed. As soon as all information has been gathered, the expert will have to file a report. This report can only be used in the context of infringement proceedings and upon the condition that the applicant initiates proceedings on the merits in Belgium or abroad in time (usually within one month following the filing of the expert report). the seizure is justified in the light of the legitimate interests of all parties involved as well as the public interest. Finally, it should be noted that the court may order the applicant to provide a guarantee in order to compensate the defendant for any possible damages in case the measures are revoked following opposition proceedings or in case proceedings on the merits eventually result in a finding of non-infringement. In 'normal' proceedings on the merits the Brussels court of commerce consists of a panel of three judges, one professional judge with a legal background and two lay judges (usually without a technical background). In most other proceedings (accelerated proceedings on the merits, preliminary injunction proceedings and proceedings relating to a counterfeit seizure as discussed above) the cases are heard by one judge with a legal but not technical background. As most judges do not have a technical background, they can appoint independent experts in order to clarify technical aspects of certain validity or infringement issues. The reports filed by these experts are not binding, but usually are followed by the courts. Until some years ago, courts regularly appointed technical experts in patent cases, but this is less frequent, most probably as a consequence of the specialisation of the courts. Inter partes proceedings, which may be proceedings on the merits or preliminary injunction proceedings, are conducted mainly by the exchange of written briefs in which the parties set out their arguments and defences. This exchange is followed by a court hearing during which the parties will have the opportunity to present their arguments. Proceeding are initiated by the service of a summons on the defendant. These summons must contain a statement of the claim. All arguments should be mentioned succinctly explained and may further be developed in later trial briefs. The claimant can indeed add additional claims or arguments in later trial briefs provided that they are based on the facts set out in the first summons. The first hearing is a mere case management hearing during which a timetable for the exchange of trial briefs is agreed upon. As a general rule, the defendant will have the last word. At this first hearing another hearing is usually scheduled during which the court will hear the case. In his or her trial briefs the defendant will be able to raise all defences and file exhibits that support its position. Moreover, the defendant may bring a counterclaim against the claimant. It can do so, for example, to claim the invalidity of the patent in question. It should be noted, however, that under Belgian procedural law the counterclaim should not be linked as such to the writ of summons: the defendant is entitled to file a counterclaim that is not related to the claims developed in the writ of summons (e.g., a counterclaim for infringement based on another patent). The course of events to follow hinges on the proceedings themselves. The last trial briefs of both parties should contain all their arguments, relating to the main claim as well as to the counterclaim, if any. Once the arguments have been exchanged in writing, the parties have the opportunity to defend their case orally during a hearing before the court. During this hearing, as a general rule no new arguments can be developed nor new exhibits filed. In Belgium, hearings are relatively short (three to six hours), and the parties concentrate on the essence of their claim or defence. It is important to note in this regard that the court only has an obligation to answer the arguments developed in the last trial briefs: arguments developed for the first time during the hearing, if allowed at all, should not be taken into account by the court in their decisions. Patent cases in which the validity of a patent is challenged offer the patentee the opportunity to file auxiliary requests. Pursuant to such requests, the court may decide to uphold the patent in its present form or in amended form. In Belgium, evidence in proceedings is usually presented by the production of documents. Similarly, witness testimony is usually produced by filing written statements, which are considered to have the same probative value as oral statements provided that some conditions are met. If they want to hear witnesses a separate hearing has to be scheduled. While this is certainly an option, it rarely happens in patent cases. Belgian courts will interpret the claims in conformity with Article 69 of the EPC and the Protocol on the Interpretation of Article 69 EPC. In this regard it can be noted that Belgian case law in general refers to the EPO case law. Besides literal infringement, Belgian courts can also establish infringement by equivalence, as discussed below. 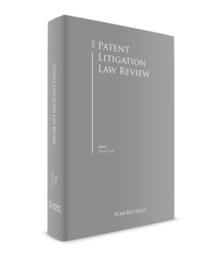 It is furthermore generally accepted that the patentee's actions during the patent's prosecution can be a relevant factor in the assessment of the scope of patent protection. In general, normal proceedings on the merits (whether infringement or invalidity proceedings) usually take around 12 to 15 months. Complex proceedings may take longer. Accelerated proceeding on the merits take less time, from a few weeks to eight months, depending on the complexity of the case. Patent cases usually take around six months to obtain a decision. Also preliminary injunction proceedings usually take around two to six months, once again depending on the complexity of the matter. Finally it should be noted that ex parte injunctions, which can be obtained in case of absolute urgency, can be obtained within a few days. Although protective letters are not regulated under Belgian law, such letters can be filed with the Brussels Commercial Court. The Brussels Bar organisation has issued some guidance in this regard, stating that a protective letter must be filed in a sealed envelope and accompanied by a letter explaining that it should only be opened and read by the judge if and when an application for a descriptive seizure is filed. The protective writ should contain arguments explaining why the court should not order descriptive or seizure measures, at least not before having heard the defendant. The impact of this letter is difficult to assess: there is no published case law in this regard. However, it is usually recommended to file a protective letter as it shows that the alleged infringer did consider the patent at stake and explains why no infringement can be accepted. Belgian procedural law provides that judicial decisions are enforced at the risk of the parties. If a first instance decision is enforced while an appeal is pending, the party that has enforced the decision will be liable for all damages if the decision is overturned in appeal (strict liability). It is, however, a controversial topic whether the same goes for the enforcement of a preliminary injunction decision if the claimant loses in subsequent infringement proceedings on the merits. It should be noted in this regard that under Belgian law preliminary injunction proceedings are separate proceedings from the proceedings on the merits and are heard by different judges. When implementing Article 9.7 of the Enforcement Directive, the Belgian legislator has included some new rules that provide that the court 'can' order the patentee to pay damages following a counterfeit seizure or preliminary injunction if it is established afterwards that there was no (imminent) infringement of the patent at stake. It is, however, not clear whether this liability should be construed as a strict liability or a fault based liability (which is difficult to establish). The case law in this respect is divided. The Brussels Court of Appeal recently rejected the theory of strict liability in these circumstances. Other case law argues that the principle of strict liability should be applied. A preliminary question on the interpretation of Article 9.7 of the Enforcement Directive is currently pending before the CJEU (C-688/17). The decision of the CJEU may offer some guidance on this issue. The costs of patent infringement or invalidity proceedings mainly relate to the fees of the lawyer, the fees of the patent attorneys or other experts and the translation costs (as most clients require an English translation of all trial briefs). The total amount of these costs will vary significantly depending on, inter alia, the complexity of the case, the technology involved and the amount of patents invoked. For first instance proceedings on the merits these costs may range from €80,000,00 to €300,000,00. The fees for patent attorneys and other experts can in principle be recovered in full from the losing party. According to the leading case law of the Supreme Court, these costs are directly and closely linked to enforcement of the patent relied on and, therefore, eligible for reimbursement. With regard to the lawyer's fees, Belgian procedural law provides for a reimbursement on a lump-sum basis (up to maximum €36,000,00), depending on the value of the case. The CJEU ruled in the United Video Properties v Telenet case (C-57/15) that such cap is not per se prohibited as long as the amounts in question covers at least a significant and appropriate portion of the reasonable costs actually incurred by the successful party. The impact of this decision is not clear yet, as some case law considers that, even if it was established that the capped amounts do not cover at least a significant and appropriate portion of the reasonable costs actually incurred by the successful party, the prevailing party could only bring a claim against the government for failure to implement in a timely manner Article 14 of the Enforcement Directive. A decision of the Supreme Court may clarify these issues. This section provides an analysis of the main substantive law aspects relating to patent infringement and validity in Belgium. the offering, bringing to market or use of a product directly obtained from a patented process, or the importation or storage of a product for such purposes. In most cases Belgian courts assess (direct) patent infringement by comparing the (essential) features of the allegedly infringing process or product with those of the patent claims, leaving aside any (minor) differences between them. Article XI.28(2) CEL furthermore explicitly provides that in the event of a patent infringement, account shall be taken of any element equivalent to an element described in the claim. Apart from direct infringement, Article XI.29, § 2 CEL provides that the patentee can also initiate patent infringement proceedings in relation to alleged 'indirect' infringement (i.e., acts that contribute to a direct patent infringement by a another party). As such, the patentee can enforce his or her patent against any person who, in Belgium offers or delivers, in or for his or her business, means relating to an essential element of the invention for the application of the patented invention in Belgium, to persons other than those who are entitled to apply the patented invention (for instance by way of a licence), provided that that person knows, or that it is evident considering the circumstances, that those means are suitable and intended for that application. However, if the means delivered or offered are products that are generally available in commerce, there will be no indirect infringement, unless the third party induces the party supplied to commit infringing acts. prior personal use: under Article XI.36 CEL the patent cannot be invoked if it is established that the alleged infringer already used or possessed the patented invention in Belgium before the date of application or the priority date. In line with international agreements, Belgian patent law furthermore provides specific exemptions in relation to the use of inventions in pharmacies or on aeroplanes, etc. Belgian case law also recognises a Gilette defence, which is a 'hybrid' defence between an invalidity defence and a non-infringement defence. If an alleged infringer established that it applies a product or a process that was already known in the prior art, or an obvious variant thereof, such use cannot be considered an infringement or otherwise the patent would be invalid as not novel or not inventive. This defence implies that the patent invoked should not even be considered. Apart from other procedural arguments (e.g., lack of urgency in preliminary injunction proceedings), the alleged infringer may moreover argue that the action of the patentee is time-barred. Patent infringement actions are indeed subject to a specific five-year statute of limitations (Article XI.61 CEL). The limitation period is suspended by a summons, claim for penalties, or seizure. Finally it should be noted that lack of knowledge (or alleged good faith) is never a defence against infringement. It could, however, be relevant in a damages claim. If the court decides following proceedings on the merits that the patent has been infringed, an injunction will be ordered (or the preliminary injunction will be confirmed) to ensure that the infringer ceases and desists from (further) engaging in infringing activities (often under penalty of a certain amount in case of non-compliance) and other remedies may be granted (as provided in Articles XI.334 and XI.335 CEL). It is generally accepted that an injunction should automatically be granted if infringement has been established. The wording of the injunction usually consists of general terms – inter alia, 'the defendant is ordered to cease and desist infringement of the patent in suit'. The duration of the injunction is indefinite and will last until it has been lifted in appeal or until the patent expires, unless the parties reach an agreement. The territorial scope of an injunction is limited to Belgium. the damage suffered (e.g., damage to his reputation and the cost of stopping the infringement, including the costs of patent attorneys). As already stated, the lawyer's fees are capped under Belgian procedural law. In case of bad faith, the court may order, as part of the compensation, the hand-over of profits derived from the infringing activities. It may also order the forfeiture of the products that have been manufactured in violation of the patent rights and of the tools that have been used for manufacturing the same. The court may also order certain additional or ancillary remedies. As such the court may order the recall, removal or destruction of the infringing products and, if reasonable, of the materials used to manufacture the infringing products. The court can also impose an obligation to disclose the origin and distribution channels of the products as well as order the publication of the decision (or a summary thereof). Except for patent proceedings relating to infringement or invalidity, various other types of proceedings relating to patents may be initiated. As such, Belgian procedural law allows a party to seek a declaratory judgment of non-infringement, provided that the proceedings are initiated in order to prevent that its rights are seriously jeopardised. The fact that proceedings in other jurisdictions have been initiated or that warning letters have been sent, is sufficient to initiate these proceedings. Based on this rule it seems possible to obtain an Arrow declaration (i.e., a declaratory judgment of the court that a certain product was already known in the prior art that offers the opportunity to a party to already acquire more certainty about the infringing nature of its own product before entering the market, even though the patents of the patentee are not (all) granted in their final form yet). Other proceedings relating to patents are, among others, proceedings relating to patent licenses, compulsory licences and challenges of ownership. Finally, Belgian law also provides for possible proceedings against intermediaries whose services are used by a third party to infringe a patent, in line with Article 11 of the Enforcement Directive. In proceedings on the merits and preliminary injunction proceedings, either party can appeal the decision within one month from service of the decision. This deadline is extended when the defendant is domiciled or resides abroad. In the context of appeal proceedings, the court of appeal has the power to review the case fully, in fact as well as in law, but only insofar as appealed by the parties. The respondent in appeal can file a cross-appeal on points not appealed by the petitioner in appeal. The court of appeal is not bound by the facts established in the first instance judgment that is under review, and may indeed also require additional evidence. The parties are even allowed to raise new arguments. They may even extend the original claim or modify the legal basis of the claim (also, a counterclaim may be filed for the first time at the appellate level), provided that it is based on facts that are recited in the original writ of summons. The extension, modification or filing of a (counter)claim in appeal may, however, not prejudice the rights of defence of the other party (e.g., filing a totally new counterclaim in the last trial briefs in appeal). As discussed above, the enforcement of measures granted pending an appeal is at the claimant's risk: if the appeal is successful the party that has enforced measures granted in first instance will be liable for all damages resulting from the enforcement (strict liability). The timelines depend on the type of proceedings. Appeal proceedings relating to preliminary injunction proceedings or accelerated proceedings can take up to one year, depending on the backlog of the court of appeal. Appeal proceedings relating to proceedings on the merits usually take up to two years. The costs in appeal proceedings are similar to the proceedings in first instance, although they usually are a bit lower. The assessment of the prima facie validity of patents in preliminary injunction proceedings or in counterfeit seizure proceedings remains a hot topic in Belgian patent litigation. The Supreme Court has confirmed in its decisions of 201410 the necessity of a true assessment of the prima facie validity of (European) patents within the context of these proceedings, moving away from its earlier case law according to which the PI judge should note take into account decisions in other jurisdictions on (parallel national parts) of the same European patent or revocation decisions of the opposition division of the EPO when deciding on the prima facie validity of a (European) patent invoked in Belgian preliminary injunction proceedings. As a result it was nearly impossible to contest the prima facie validity of (European) patents in preliminary injunction proceedings. Moreover, this case law isolated Belgium from its neighbouring countries (such as the Netherlands, Germany and the UK), where courts do not hesitate to assess invalidity arguments in preliminary injunction proceedings. In its 2014 decisions the Supreme Court, however, decided that, when assessing the prima facie validity of a patent, a court may not simply set aside a foreign decision nullifying the corresponding national part of a European patent, and a first instance decision on the merits invalidating a patent, against which appeal has been lodged as irrelevant because the foreign decision was not rendered in relation to the Belgian part of the same European patent or because the first instance decision is not yet final. In recent decisions of the Brussels court of appeal and the Brussels court of commerce this case law of the Supreme Court has been applied and preliminary injunction measures have been rejected following an assessment of the prima facie validity of the patent at stake. However, other case law seems more reluctant to truly assess the prima facie of the patent (or SPC) invoked, granting an injunction without a (prima facie) assessment of the invalidity arguments. In some recent decisions the Brussels court of commerce granted injunctions based on the SPC for Truvada, the validity of which is disputed all over Europe, without examining the invalidity arguments raised by the defendants. As in most European jurisdictions, the hottest topic by far for Belgian patent law practitioners is the anticipated arrival of the Unitary Patent and the Unified Patent Court. This could potentially change or even disrupt the Belgian patent litigation landscape. 1 Christian Dekoninck is a partner at Taylor Wessing NV. 2 Such as the Regulation (EC) 608/2013 on customs enforcement of intellectual property rights, the Regulation (EC) 469/2009 concerning the supplementary protection certificate for medicinal products and the Regulation (EC) 1901/2006 on medicinal products for paediatric use. 3 Article 54 EPC and Article XI.6 CEL. 4 Article 56 EPC and Article XI.7 CEL. 5 Article 57 EPC and article XI.8 CEL. 6 Article 52, 2 EPC and Article XI.4 CEL. 7 Article 53 EPC and Article XI.5 CEL. 8 Directive 98/44 of 6 July 1998 on the legal protection of biotechnological inventions. 9 Article XI. 337 CEL. The same goes for all litigation relating to supplementary protection certificates. 10 Cass. 26 June 2014, C.13.0336.N and Cass. 12 September 2014, C.13.232.N.